The idea behind Blueprint for Football - the framework around which it will be built - comes from the desire to really understand what drives such a successful development programe. The definition of success in itself is difficult to pin down: for one club it involves getting players through to the first team, for another it is a question of getting kids off the street. Each one does things differently to get to where they want to be and, for us, each approach is important. We aim to look at all types of successes. 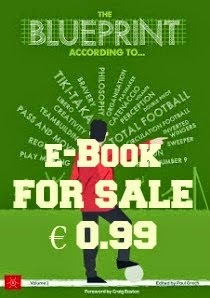 Analysing as many of the different approaches as possible - in as many countries as possible – is also a major focus of Blueprint for Football. Indeed, we will also look at what works in other sport and which, perhaps, are not typically given much importance. It is our firm belief that there is much to learn there. 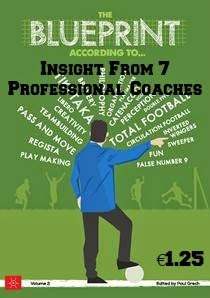 We are intrigued by the psychological aspect of youth football, how players are identified and coached, emerging ideas and different approaches. Ultimately we want to talk to as many different people as possible to expose readers to as many ideas as we possibly can. Not everything will work for everyone, but everything will contain that piece of information that will get people thinking. Those looking for match results or coaching tips will have to look elsewhere: that isn't what we are after. Frankly, they don't interest us and, in any case, we don't have the expertise to write about them. Instead we want to deliver a melting pot of ideas about developing players in the belief that ultimately this can lead to an identification of certain principles that are common ingredients for success. 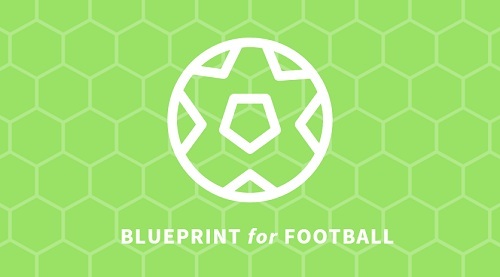 This site will be driven by the ambition to assist all those who want to establish their footballing philosophy; the blueprint on which their footballing ideas are based. Gambardella 2008, stronger than Gambardella 2003?